Once in a while I pick up a crime novel that literally blows me away. Cemetery of Swallows, published by Europa Editions as part of their World Noir series is one of them. By the last few chapters I was literally talking to the main character out loud saying "come on! I know you'll figure this out! I know there's got to be a logical explanation!" I don't tend to get that excited in the normal course of crime reading, but this book put me through the wringer and kept me there up until the last minutes. "I killed him because he had killed me." 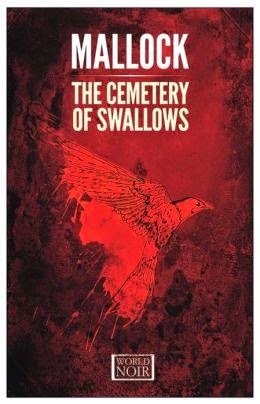 I have a post about this novel on the crime page, but for now I'll say that Cemetery of Swallows is not only innovative, but it's also one of those books where you literally have to wait until the very end -- only then does the light bulb go on and you get to the "aha" payoff moment. Whatever this guy writes in the future, I'll be buying as soon as it's published.